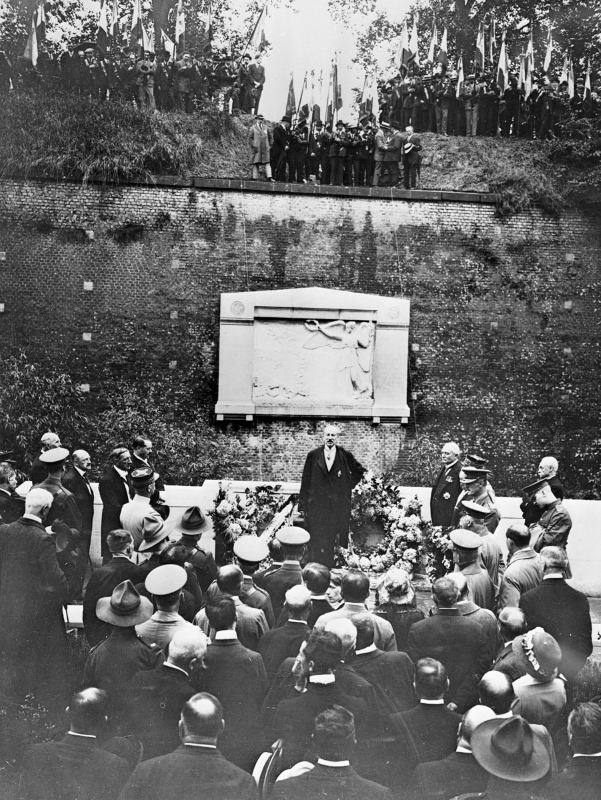 Leslie Averill (pointing) at the dedication ceremony for the New Zealand memorial at Le Quesnoy, France, 1923. The town of Le Quesnoy formed an enduring bond with New Zealand at the end of the First World War. Le Quesnoy had been invaded by the Germans in 1914, and was under their control until 4 November 1918, when the New Zealand Division entered the town and – using unconventional methods – finally forced the Germans to surrender. Just one week before the armistice, this was the last major engagement that the New Zealanders fought in the war. 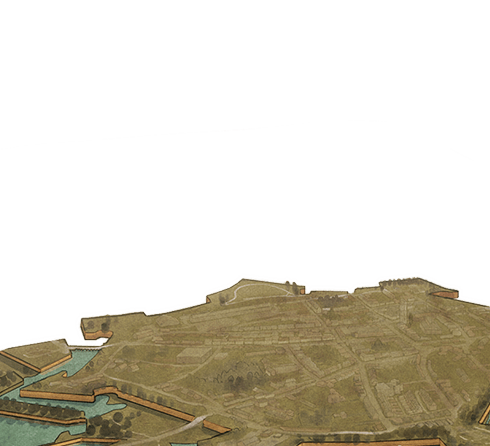 Ninety of them died while freeing Le Quesnoy, and its people have not forgotten that. Walking through the streets of the town today, you can see signs everywhere of the special relationship between Le Quesnoy and New Zealand. Lieutenant-Colonel Blyth describes the connection between New Zealand and Le Quesnoy. "We eventually took the place and from then we established a great connection with the French people. Today if you go back there the name of the Nouvelle Zealande soldier la guerre is very well known, we've got a school named after us, we've got the Nouvelle Zealande Avenue, we've got the garden of remembrance. I don't know, there might be half a dozen things there. If anybody ever goes there, if you mention that you've got the entrée to Le Quesnoy. We went back twice and I say it's quite nice. It's not far from Mons, which figured in the First World War." Leading off from the town square is the Avenue des Néo-Zélandais, which takes you to the Jardin du Souvenir (Garden of Remembrance). Another street is the Rue Nouvelle Zélande. And the Rue d'Averill is named after Lieutenant Leslie Averill, from the 4th Battalion, 3rd New Zealand (Rifle) Brigade. He was the first of the New Zealand liberating force to enter the town, and he maintained strong ties to it throughout his life. The town's primary school (l'Ecole du Lieutenant Averill) is also named after him. It was popularly believed that Averill was born in the New Zealand town of Cambridge. In fact he was born in Christchurch, but nonetheless, Le Quesnoy has been a sister city to Cambridge since 1998. Lord Milner speaking at the unveiling of the New Zealand monument in Le Quesnoy. 15 July, 1923. The New Zealand battlefield memorial, near the Bastion du Gard is one of four New Zealand memorials on the Western Front (the others are at Gravenstafel and Mesen/Messines in Belgium, and Longueval in France). In recent times New Zealand has been officially represented at armistice commemorations in the town on 11 November, and politicians and other groups, including the All Blacks, visit frequently. Lieutenant-Colonel Lawrence Morris Blyth, interview by Jane Tolerton and Nicholas Boyack 28 September and 20 October 1988, OHInt-0006/12, World War 1 Oral History Archive, Alexander Turnbull Library, Wellington, NZ.